A notary is a specially qualified senior lawyer who is authorised to notarise and certify documents. A notary in Australia is a much selected occupation – whilst there are over 20,000 legal practitioners in Victoria, there are only some 90 notaries that can provide notary services. A signature of the notary verifying a document or establishing an identity is accepted as having integrity and subject to specific requirements can be used for overseas documents. Can a Notary Public Sign Documents to Be Used in Australia? Although a notary is legally allowed to sign documents to be used in Australia, generally they limit themselves to signing documents for use overseas. The documents could even be Australian; for example, an Australian passport, a naturalisation certificate or educational qualifications, however if they are intended for use overseas, the documents are to be notarised. Can a Justice of the Peace or Legal Practitioner Sign Documents for Use Overseas? When it comes to who can certify documents for local use, especially in legal matters, if you need help with how to write a statutory declaration in Victoria, someone like a Justice of the Peace, legal practitioner, court officer or police officer can assist. However, when it comes to signing any documents or certifying copies of any documents, they will be unable to help. Only a notary public in Australia can sign or certify these documents. Do Documents that Are Written in Another Language Need to Be Translated? Typically, documents that have been written in a language other than English do not require translation prior to being notarised and having an Apostille or authentication attached. For example, documents for the People's Republic of China can be in Mandarin as long as the signature on the documents is in Mandarin and also in Roman style. Some countries, however, require documents to be in both English and the language of the country, so you should check with your representative in the other country as to whether the documents are also required to be in English. Which Documents and Certificates Does a Notary Public Typically Sign? Certificate of Good Standing – This certificate confirms that the company is duly registered under the laws of Australia and that any persons who sign the documents, such as a director or secretary, are duly authorised to sign the documents and that their positions in the company have been confirmed by a search. Commercial Notary Public Services – This is a certificate provided after a current company search has been done to confirm that the registration of the company is current at the date of the search. Please note that a copy of a certificate of incorporation is not sufficient to establish that the company is currently registered, as the certificate of incorporation relates to the time when the company was incorporated, not the time that the documents have been signed. Certificate Relating to the Form of Execution of Company Documents – This is a certificate to say that the documents have been signed correctly by the officers of the company noted in the ASIC registration and in accordance with the company's constitution. Commercial Documents for the Middle East (exc. Israel) – Many commercial documents for the Middle East such as commercial invoices, bills of lading, certificates of authenticity and other such commercial documents require a notary certification and also an authentication by the Department of Foreign Affairs and Trade (DFAT Melbourne) and then these documents are to be presented to the relevant embassy. Please note that some documents that are to be presented at a number of Middle Eastern countries need to be presented to the relevant embassy, as even adjoining Middle East countries do not accept documents from other countries. Other Company Documents Include verifying a constitution and the change in registered office, and documents relating to sales, therapeutic goods, administration, and financial documents. Identification of Persons – Certifying identification documents for the purpose of making any applications overseas. Academic or Professional Qualifications – In the case of academic professional qualifications, most countries require the actual certificate degree of diploma and also a transcript of subjects certified by the University or other institution of training. A copy of the original documents is required to be notarised and presented to the Department of Foreign Affairs and Trade for either an Apostille or authentication, and in the case of authentication, also presented to the relevant embassy. Proof of Life – In many cases where people receive an overseas pension, they have to provide an annual certificate to confirm that they are alive. This certificate does not have to be authenticated, and if these people are full pensioners, we offer a reduced rate of one half of the usual charge for notary services. Please note this only applies to proof of life certification. Charles Reichman can notarise an affidavit form in order for it to become legally valid in court proceedings. Whichever document you might need a certified copy of, you can count on public notary Charles Reichman to certify your documents with minimal fuss. Call today to make an appointment for certifying documents. With locations in Werribee, Footscray and on St Kilda Rd, we’re well situated to assist clients from a range of surrounding suburbs, including Altona, Williamstown, Laverton, Yarraville, Point Cook, Williams Landing, Newport, Tarneit and Maribyrnong. We are also present in the the Geelong and Colac areas, on a weekly basis. 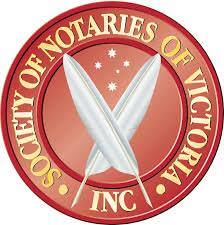 Therefore, we are the only notary public that provides notary services for clients in more rural areas of Victoria. Contact us now to find out more about how we can assist you with notarising an affidavit form.